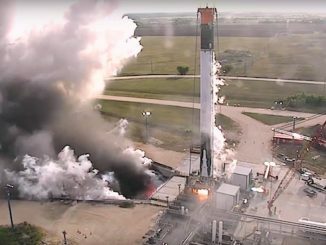 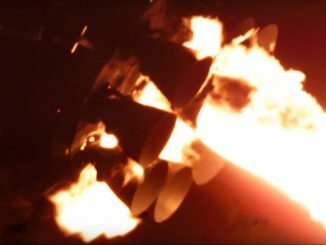 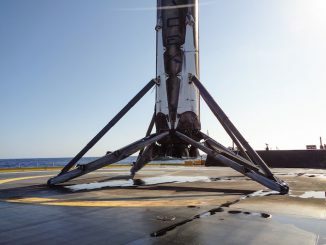 Throttling up to more than a million pounds of thrust at SpaceX’s Central Texas test facility, a Falcon 9 rocket booster recovered after a commercial satellite launch in May passed a key milestone Thursday as the company sets its sights on re-flying a used first stage on a mission this fall. 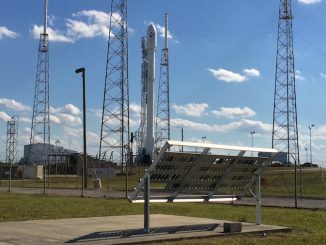 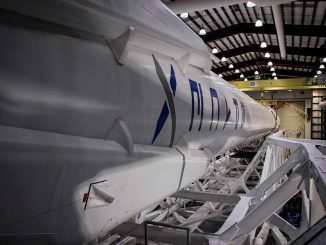 SpaceX’s Falcon 9 rocket is set for liftoff from Cape Canaveral early Friday, heading due east over the Atlantic Ocean to deliver the JCSAT 14 communications satellite into orbit 32 minutes later. 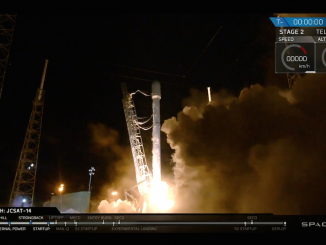 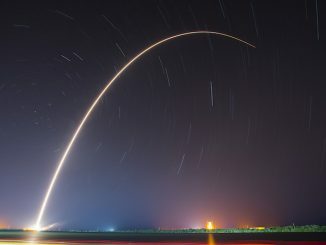 A Falcon 9 rocket took off for its fourth flight of the year Friday with a middle-of-the-night mission for SKY Perfect JSAT, a Tokyo-based satellite operator. 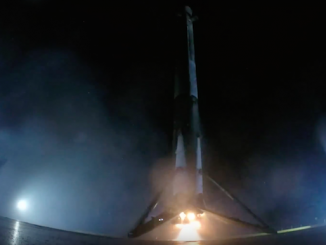 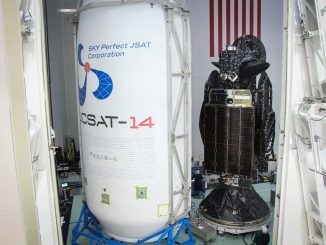 The JCSAT 14 communications satellite launched from Cape Canaveral at 1:21 a.m. EDT (0521 GMT), and the rocket’s first stage booster made a successful landing at sea a few minutes later. 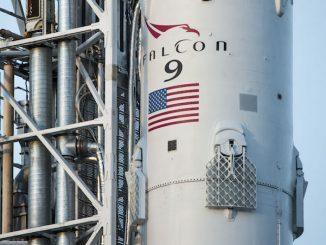 SpaceX has delayed a planned Falcon 9 launch with a Japanese communications satellite to Friday due to inclement weather on Florida’s Space Coast.